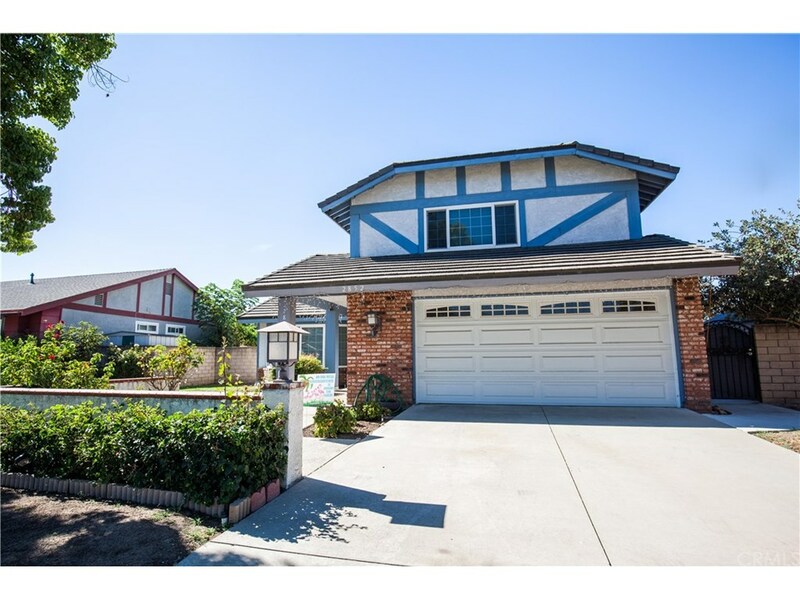 Spacious 2 story family home in the city of La Verne. Entering through the welcoming double door, you will discover the vaulted ceiling, providing a spacious feel to the formal living and dining rooms. Original hardwood and engineered wood flooring throughout most of the main living areas offer classic elegance. A cozy family room with remodeled slate fireplace next to the kitchen is perfect for entertainment or relaxation. Step out to the covered patio and enjoy the large backyard and tranquility of the koi pond with waterfall. The kitchen was updated with modern bamboo cabinets, glass tile back splash, ceramic floor tile and granite counter-tops. Going upstairs, you will find the spacious master suite with a full bathroom, double vanity, walk-in closet and an expansive view of the mountains. 3 additional bedrooms and a full guest bathroom is also located upstairs and 1/2 bath located on the first floor. Central heat and AC provides year round comfort for your family. Easy access to the 10, 210, and 57 freeway, restaurants and shopping. Located only minutes away from downtown La Verne and The University of La Verne.